The quick notes I send out via Facebook and the tiny ones via Twitter make me feel particularly appreciative of “old-fashioned” more leisurely emails such as this – with easy links for more info if you want that. But I am also aware that those of you already using Facebook love the photos and immediacy of response and conversation. Perhaps we are moving into a time when all these diverse ways of communicating sit increasingly comfortably together? Am just back from the annual “Peace of Mind” retreat at Mana Retreat Centre in NZ. (I give retreats there twice each year – my favourite place for deep renewal.) We spent time thinking together about some profound themes: healing, suffering, forgiveness and what it means to be “well”. Yet while these themes may challenge us, the mood of the retreat was deeply peaceful, comforting and uplifting. As always, I emphasized how much suffering arises not just from events or losses or even betrayals, but also from attitudes that restrict us. Learning to “notice” which of our habits of mind and response help and which hinder needs quiet reflection. (Pausing to observe where thoughts are taking us…) I write about this most in Choosing Happiness. Meditation will also help. And for those of you who believe you can’t meditate, or that your meditation is “not working”, please do give guided meditation a try. This is not meditation-lite!! I know how helpful I find it, especially when I am giving out a lot or feeling depleted. Over the years I have recorded several meditation CDs and I’ll add a bookstore link here to Peaceful Mind, the meditation CD I made a year or so ago with my dear friend Kim Cunio. He arranged the music that supports my words of guidance and his wife, Heather Lee, also sings exquisitely on a couple of tracks. There’s a 15-minute complete guided meditation that most of us could find time for even in a busy day (as well as a 10 minute talk on meditation and a more leisurely 30-minute meditation). Reading activists? For you, a reminder that the special offer of a set of the 10 CDs of audio PLUS the print edition of Seeking the Sacred is still available but only through the Seekbooks on-line bookshop that helps to support my web site and this Network. (I read it aloud – and the audio set is unabridged.) On the bookshop’s “recommended” list I have also added a wonderful book called Inevitable Grace by Piero Ferrucci. I’ve read it a number of times and used it again when preparing for the recent retreat. It’s wise and illuminating about the different expressions of “grace” as we grow into a greater understanding of what stirs and supports us. Piero uses exceptional examples of artists, saints, philosophers, showing what inspired and transformed them. It has a rare depth as well as great beauty. Do also look for Stephanie Soldana’s wonderful The Bread of Angels – also on that same recommended list. She’s a brilliant young writer and her lovely book is far too little known. This is breast cancer awareness month in Australia. As a breast cancer survivor, and someone who has worked for years with Breast Cancer Network Australia, I am familiar with the havoc this cancer can cause. However, I am also aware how UNSUPPORTED many people are with other cancers or life-threatening illnesses. The practical kindness and empathic compassion we show to anyone who is ill is vital to restoring their sense of wellbeing, especially when the prognosis is bleak. I will be speaking at two more BCNA forums this year. If your life is touched by illness, do check their website. Details below about the Interfaith services that I lead in Sydney. And the talks, at least, are now unconfined to Sydney or to any four walls! We love to see you in person. And there are benefits you can only get by being there – fellowship, immediacy, comfort, inspiration. But you can enjoy the talks wherever you are. Here’s a YouTube link to last month’s talk on “Ten (vital) lessons from the earth”. You will see it was joyful for me to prepare and give. Someone donated the video camera and another member of our congregation is posting the talks on YouTube: so please take advantage of their generosity. (You can find older ones easily on my website.) We run on the faint smell of an oily rag so it is quite wonderful what is achieved. On that note, I hope that you, too, will take a moment to forward this newsletter to all those in your own circles who might benefit? Thank you!! At this month’s service, Elizabeth Leocanet will be singing for us again. Here’s a link to YouTube of her glorious version of “God be in my head”, from the last time she sang with us. Some radiant words below: this time from 8th-century poet and astronomer, Lalla. And further details of the October events also – including Adelaide. My kindest wishes to each of you, and prayers that we too may increasingly “live in the soul” – and dance. These spiritually inclusive services are held on the 3rd Sunday of each month at 3 pm. Gathering momentum since 2006 these services may meet your needs for a time of unconditional acceptance, deep peace and spiritual renewal. The teachings and music are invariably uplifting. Details: Interfaith with Reverend Dr Stephanie Dowrick. Pitt Street Uniting Church, 264 Pitt Street, Sydney 2000. Nearest cross Street is Park. Some street parking. Excellent public transport (nr Town Hall). Services around 75 minutes. Tea, coffee, fellowship – and an unconditional welcome to all. Dr Stephanie Dowrick is one of several outstanding speakers at this intimate, practically supportive workshop/conference. 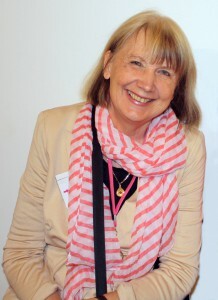 Stephanie will speak on Saturday 22 October on self-confidence as a vital aspect of wellbeing and inner balance. She will give practical guidance in self-support that will also heal and ease our connections with others. This is an opportunity for health professionals, therapists and the general public to engage with some of the vital emotional/social issues of our time over a highly supportive weekend. The bookshop is a portal to Seekbooks where you can order safely and at a small discount from their complete range. All sales directly benefit this Network via a small refund. Postage is pegged at $6.95 for an unlimited number of items. 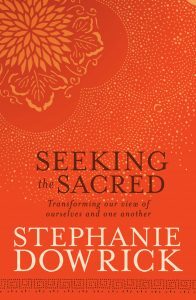 Special offer currently for Audio book and printed book: Seeking the Sacred. Long list of books personally recommended by Stephanie. Have you “liked” Stephanie on FACEBOOK for regular updates? The “Official Stephanie Dowrick” Facebook page offers frequent updates. Also the chance for you to comment and engage.